Join an intimate group of 16 adventuruous travelers on a trip that explores three main areas of Thailand, seamlessly blending intrepid experiences, relaxation and luxury. Revel in the famous beaches and bays of Phuket while calling a private sailing catamaran your home. Experience the exhiliration of the heart of Thailand, Bangkok, taking in its famous nightlife and exploring every nook and cranny of the country’s flavorful cuisine. Recover in Chiang Mai, where you’ll have the opportunity to visit a local hill tribe to learn about traditional Thai culture and customs. This trip is as much a time to bond with new and old friends as it is an independent exploration; you will have plenty of free time interspersed with group adventures. Space is limited, make your reservations now! Most visitors kick off their Thailand adventure in the country's exhilarating capital, Bangkok, before moving on. The north offers emerald forests, mist-shrouded mountains, and the famously laid-back Chiang Mai. The south contains some of the world’s best beaches and diving, including iconic islands Phuket and Koh Samui. We’ll be exploring most of the heavy hitter locations during this 13-day sojourn, except we’ll be doing it a bit differently. It’ll be an exciting adventure, one perfect for a small group of this size. 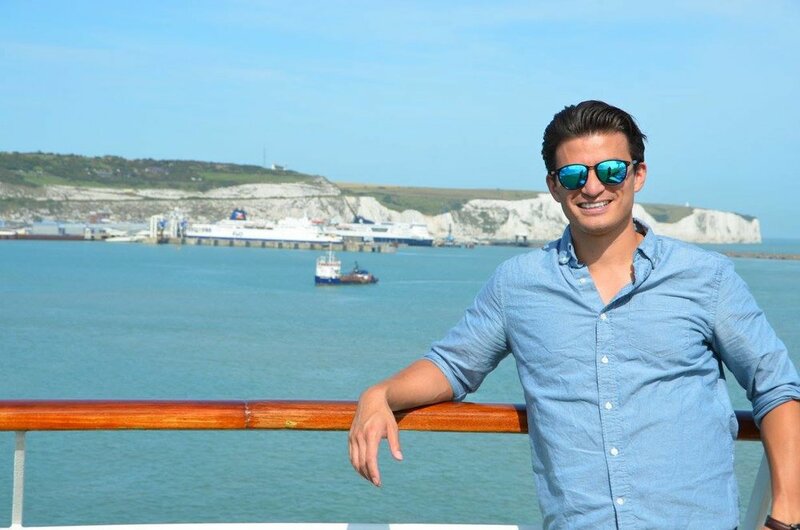 Your Thailand sailing and land journey will be hosted by Chris Barber of Cruises & Beyond, a young traveler as curious as you are about different areas and cultures of the world. Enjoy your time with good company and build friendships that will rival the excellence of service you will receive on this trip of a lifetime. Private transfers from airports to hotels. Accommodation in 4-star hotels in Phuket, Bangkok and Chiang Mai. Chartered sailing catamaran with included activities. 2 full-day tours with English speaking guides. Domestic flight tickets as mentioned in the itinerary. Ferry service from Phi Phi to Phuket. Our first stop will be Patong Beach, the lively shopping and evening entertainment district that transformed a quiet fishing village into a bustling town in a short period of time. From bars to live music to clubs, plus cuisine from all over the world available in its restaurants, every possible pass time imaginable can be found here. Not to be overlooked is the fine bay and four kilometer (2.5 mile) stretch of beach that promises excellent swimming, snorkeling and more. From here, we will be transferred to our very own sailing catamaran, operated by our good friends at G Adventures. Thailand is a pretty popular place, which is a polite way of saying it can get a little crowded. The G Adventures catamaran sailing program is the best of its kind in Thailand, and offers a great way to intimately explore secluded bays and out-of-the-way islands far away from the madding crowds. Some of the islands and bays we’ll be visiting: Phang Nga Bay, Railay Beach, Koh Haa and Koh Phi Phi. Burasari Phuket is where the good life gets better! This serene boutique resort is located just 50 meters (yes, meters!) from Patong Beach, Phuket Island’s liveliest oceanside district and one of Thailand’s top holiday destinations. Relax in their smart, stylish rooms where luxury and comfort go hand in hand. Play in their gorgeous swimming pools. Lounge with friends at the swim up pool bar. Savor the island’s best Thai and local cuisine and drinks. Check in to our award-winning Spa Burasari for rejuvenating treatments. And, enjoy our ‘Feel At Home’ welcome and warm, attentive service. Snorkel in hidden bays, laze on pristine beaches, and feast on tantalizing Thai cuisine prepared by a local chef. Get away from it all when we board and begin our four-day voyage through some of Thailand's most alluring islands. This is a perfect serene escape from the crowds of Phuket. Bangkok is the heart of Thailand, an intoxicating city where modern mega-malls filled with fashion-fixated locals exist mere minutes from tranquil, gold-spired temples and chaotic wet markets. Food—whether it's noodles from the famous street-food stalls or haute cuisine at a luxury restaurant—is a highlight for many visitors, fueling them for shopping sprees or forays into the pulsing nightlife. It may be hot, polluted, and sometimes frustrating, but the Thai capital is never boring. During one of our days in Bangkok, we will take a full day tour of Ayutthaya, the ancient Siamese capital. Today, Ayutthaya hosts some of Thailands most important historical landmarks and is part of the UNESCO World Heritage. The magnitude and number of the ancient temple ruins speaks of the former greatness of the city. You will also visit some of the most interesting temples and nearby Bang-Pa-In. The Bang-Pa-In Summer Palace of King Rama V consists of buildings in Gothic, Renaissance, Chinese and Thai architecture. We will then cruise back to Bangkok along the Chao Phraya River aboard a river cruiser. En route you can observe the scenic river life as you enjoy a sumptuous buffet lunch. Find your dream hotel in Bangkok at Novotel Bangkok Ploenchit Sukhumvit, the best 4-star hotel in Bangkok. Enjoy comfortable accommodation, with modern facilities that make vacation in Bangkok an even more enjoyable trip. After a few nights in Bangkok, we will spend our final days in Thailand in Chiang Mai. This Rose of the North is a beautiful city with a long history and age-old traditions. Along with breathtaking scenery, colorful hilltribes and world-famous arts and crafts, visitors can still enjoy traces of the ancient Lanna Kingdom. During one of our days in Chiang Mai, we will depart for Mae Kampong village and drive through the picturesque countryside of Chiang Mai. En route we’ll make a short stop at a local market to select some extra ingredients for your lunch. We’ll then continue to Mae Kampong village where we will be met by villagers who will accompany us and our guide on a stroll through the community forest, passing tea and coffee fields. Afterward, we’ll return to the village and enjoy a simple lunch prepared by our local host. After lunch, we’ll take time to relax with a traditional Thai massage and take a walk around the village to see the processing of fermented tea leaves (depending on the season) and some locally hand-made products. Interested in this itinerary? View the Full Itinerary or Request a quote. our specialists will contact you as soon as possible. Fares are per person based on double occupancy. Deposit of $950.00 is due 7 days from reservation confirmation. A U.S. Passport, valid at least six months beyond your last travel date is required. Non-U.S. citizens may have additional requirements. It is the traveler's responsibility to have the proper travel documentation. Travel Insurance: Even the most carefully planned trip can be complicated by unforeseen events. Whether it's lost luggage, canceled flights, or a medical emergency, an unexpected mishap can turn a relaxing vacation into a taxing experience. Travel Insurance is designed to keep your losses to a minimum. Cruises & Beyond's goal is to save you money, safeguard your journey, and make your vacation memorable for all of the right reasons. Thus, we highly recommend the purchase of Travel Insurance. Ask us about which policy best fits your circumstances.